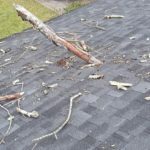 Roofs can be damaged from a storm with high winds and large hail. They can also be damaged from animal activity, get hit by falling tree branches or even struck by lightning. If there is damage to your roof, ABC Roofing & Siding is ready to help. 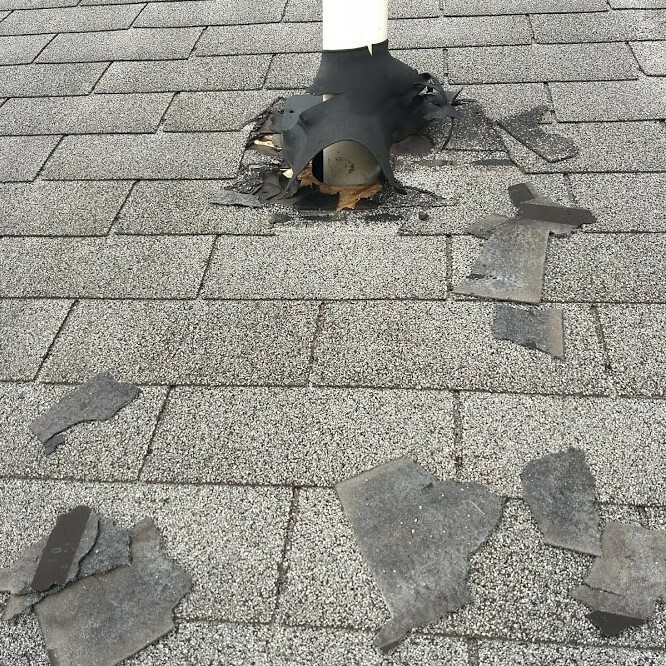 We will quickly address the problem, and perform a professional roof repair. 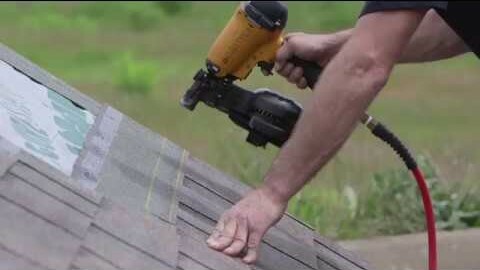 If there are missing shingles or exposed wood, it is imperative to get it covered right away. 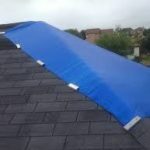 Any exposed and vulnerable areas should be covered with tarps. After mitigating against any further damage, proper repairs can then be arranged. Call anytime at 630-566-2909. Emergency repairs may also be necessary if you are involving your insurance company with a claim. Typically, the policy holder (you) is resposible to prevent any further damage from occuring to the property. Your insurance company will re-imburse you for the work, but it is on you to arrange the work. 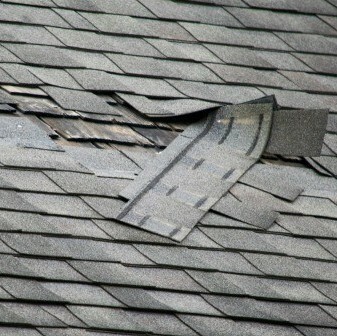 So, if you notice any recent damage to your roof, call ABC Roofing & Siding right away. We’ll send out one of our crews to promptly deal with the damage. Our team of pros are ready to help by providing a free no obligation inspection. We’ll come out, get on the roof and evaluate the extent of the damage. Afterwards, we’ll discuss practicle options for a course of action. As needed, we can arrange for an emergency or general repair. 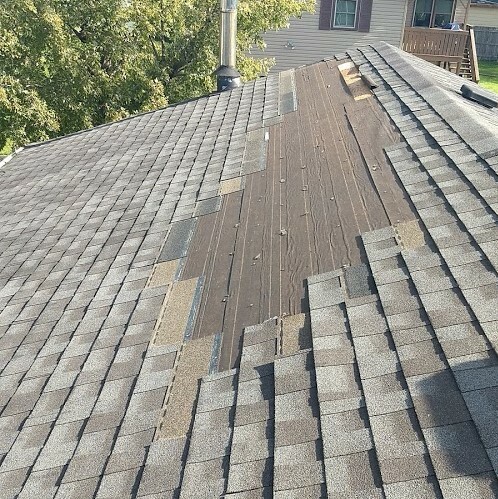 If your roof shingles show only minor damage, then a basic repair should be enough to take care of it. We’ll give a free on-site estimate. However, if your roofing is old or too deteriorated, then replacement might be the best option. Although an isolated repair may still be possible, it will only delay the inevitable replacement. Either way, you will have to choose which is best for your situation – repair or replacement. 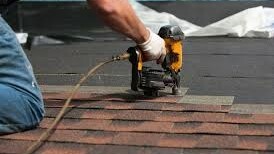 ABC Roofing & Siding is a trusted name and has repaired and replaced thousands of roofs since 1991. Call 630-566-2909 or go to our Contact Us page to request a free inspection. One of our experienced staff will come out to inspect and evaluate the damage. Then, we’ll provide you with an honest evaluation and options, and give you a free estimate.